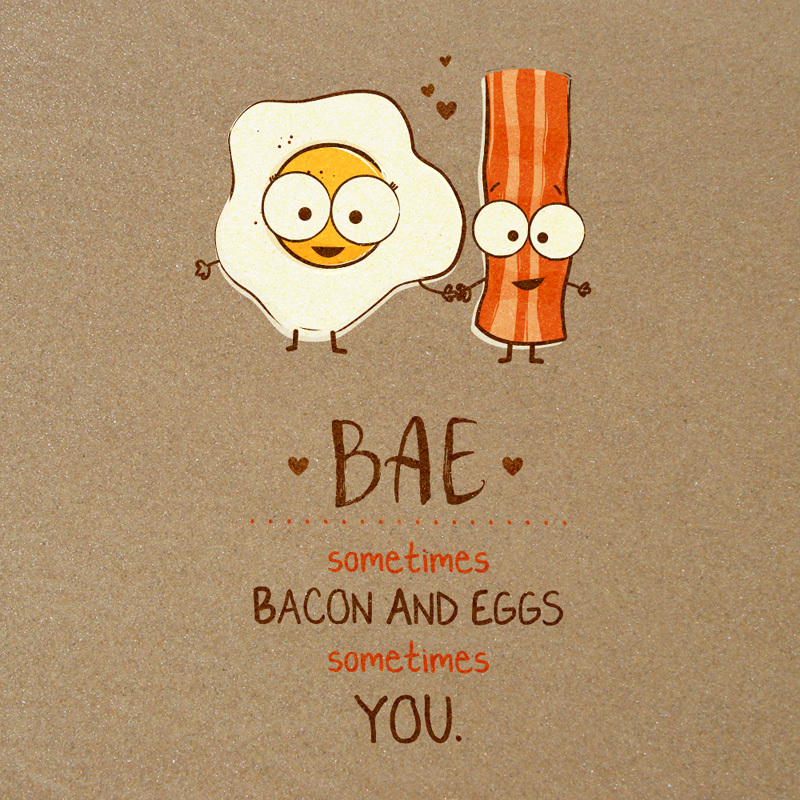 I LOVE BACON!!! 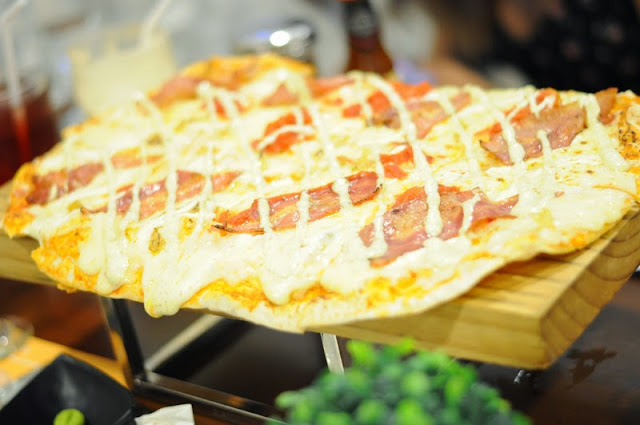 Just the thought of crispy, delicious, mouth-watering goodness of bacon, makes me salivate and put a huge smile on my face whenever I #BiteTheLove. 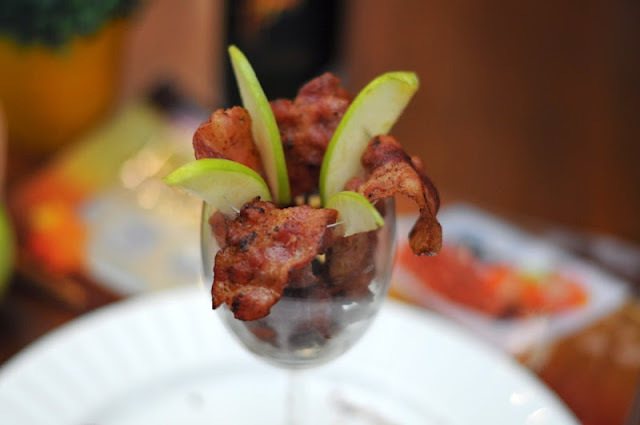 It's my favorite indulgent and delicious treat for breakfast. 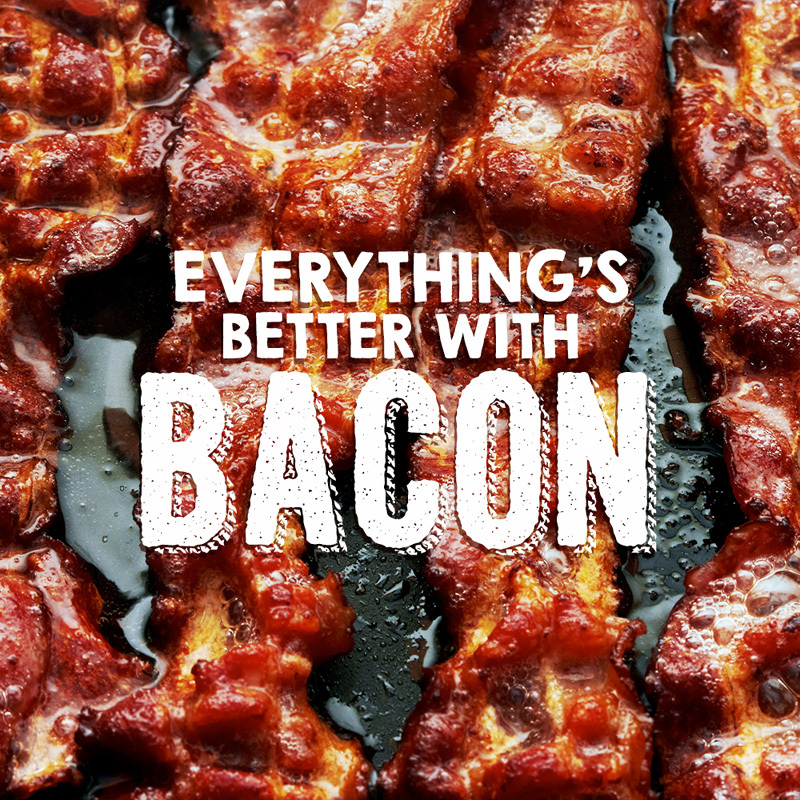 BACON makes me HAPPY with simply just frying then eat it with egg and garlic rice. 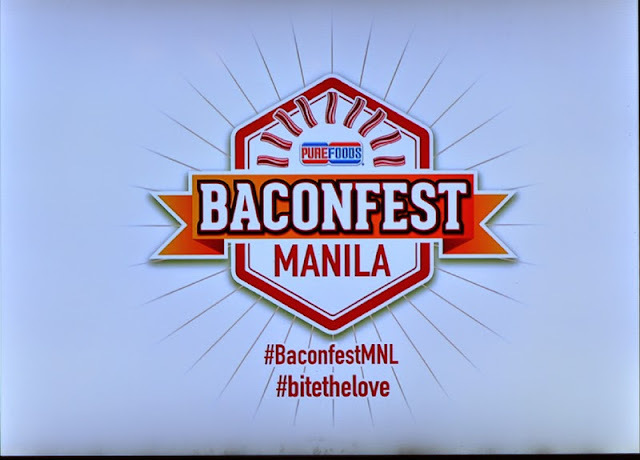 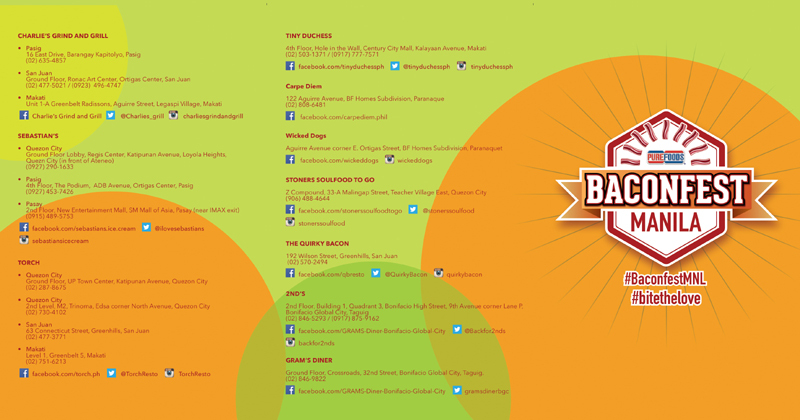 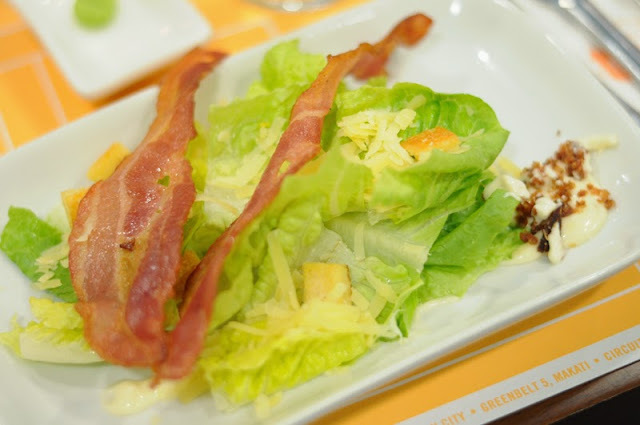 But it was inspiring to do more in preparing and eating bacon in many different ways when I attended this mouthwatering event to kick off BACONFEST MANILA in partnership with PUREFOODS® Thick Cut Bacon and Maple Bacon. 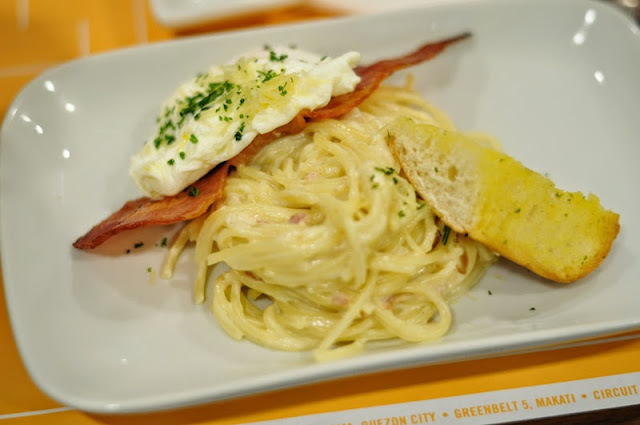 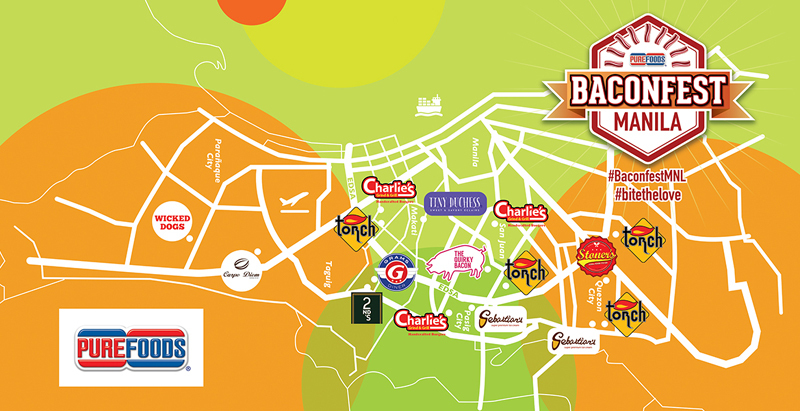 The event was held at Torch in the Ground Level of Greenbelt 5. 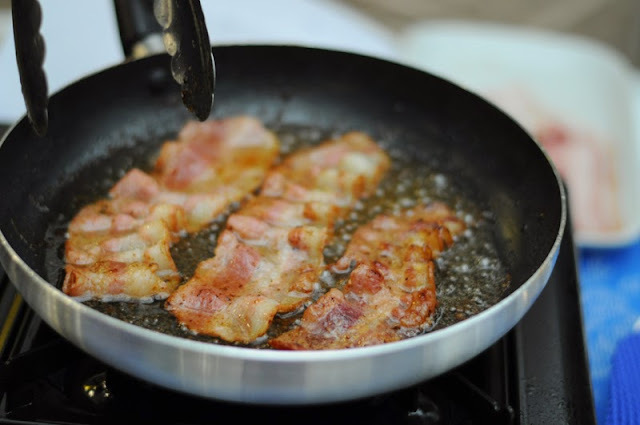 It was so good when I was walking on my way to the restaurant I was able to smell the bacon in the air. Yum! The event was full of fun and surprises. 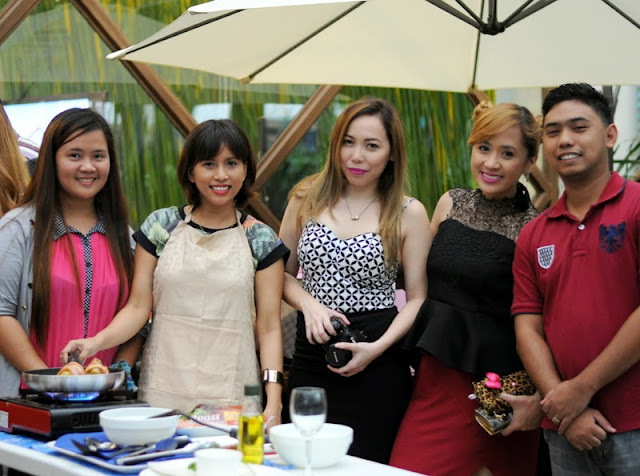 Aside from eating so much yummy bacon during the event, I also had the best time of my life when we were teamed up to a cook-off challenge. 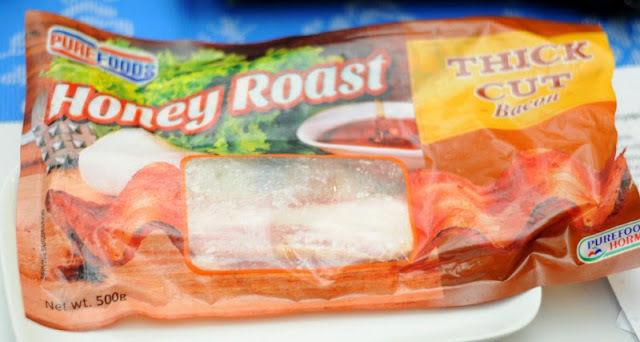 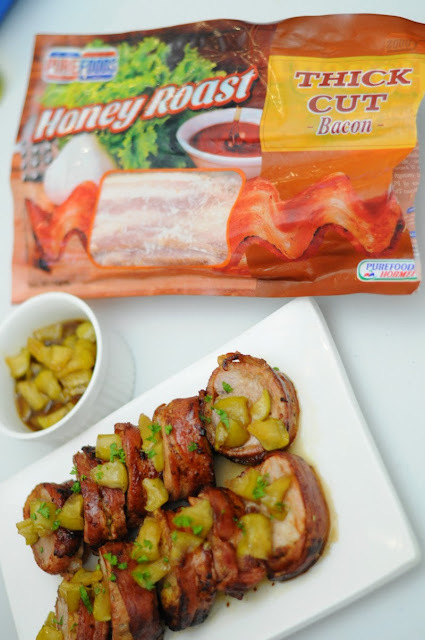 PUREFOODS® Honey Roast Bacon is a sweet, savory and smoky goodness that will surely brighten up any meal, anytime of the day! 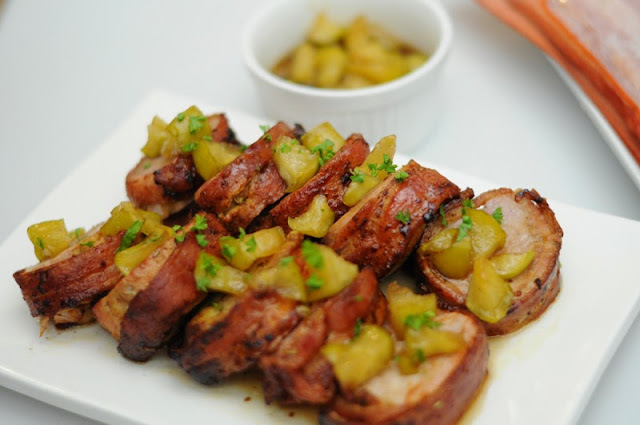 Our team was assigned to cook a very interesting and delicious dish called Bacon Crusted Pork Medallions with Apple Chutney. Sadly, we didn't win the challenge but this has been a fun, challenging and rewarding experience. 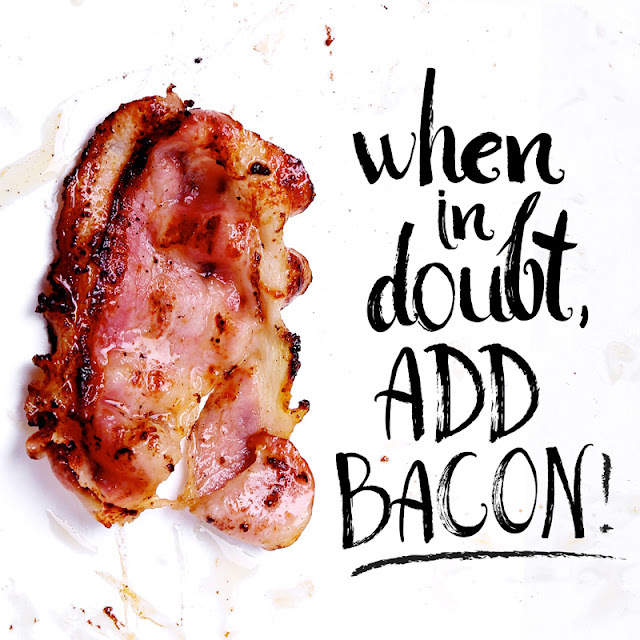 Cooking the tastiest and yummiest bacon! 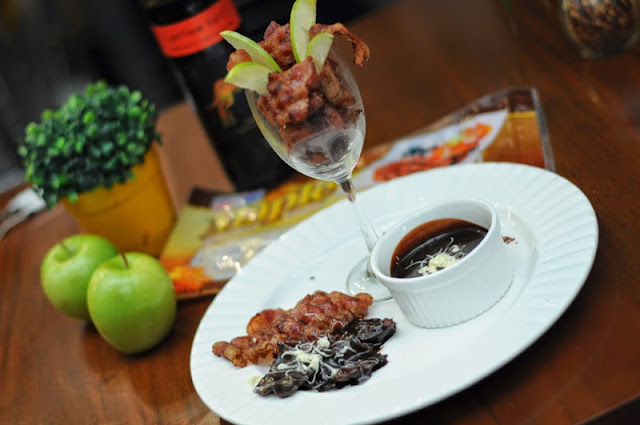 I highly recommend everyone to try cooking Bacon Crusted Pork Medallions with Apple Chutney with PUREFOODS®Thick Cut Bacon. 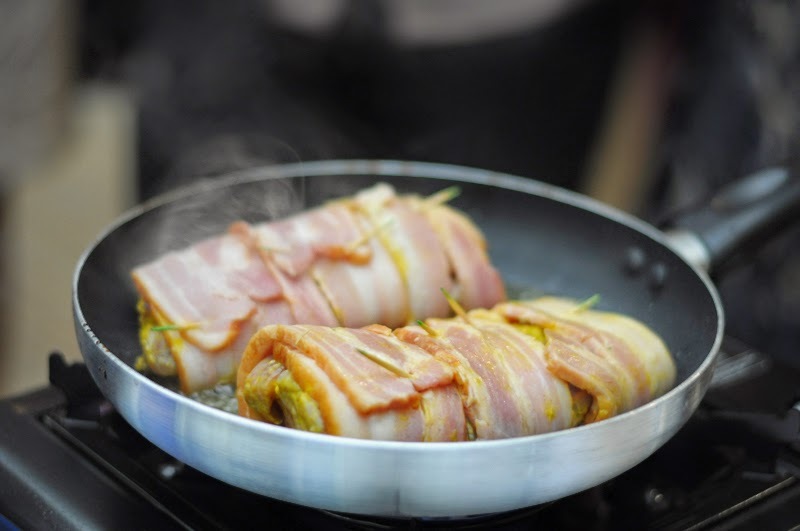 I will try to update later with the recipe! 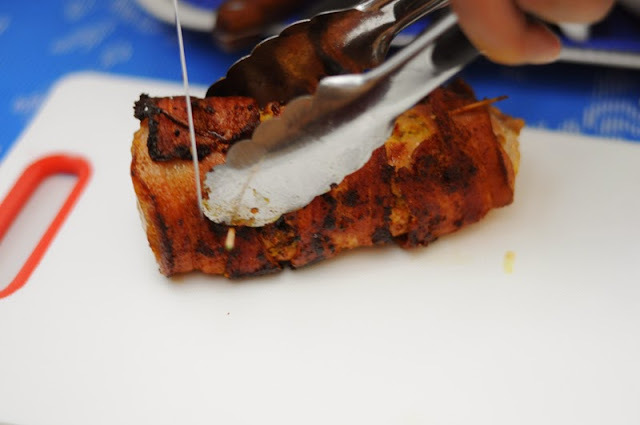 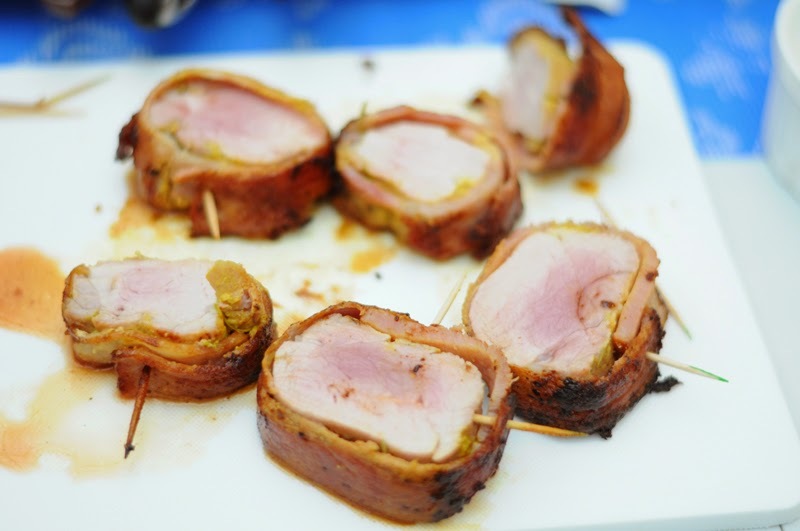 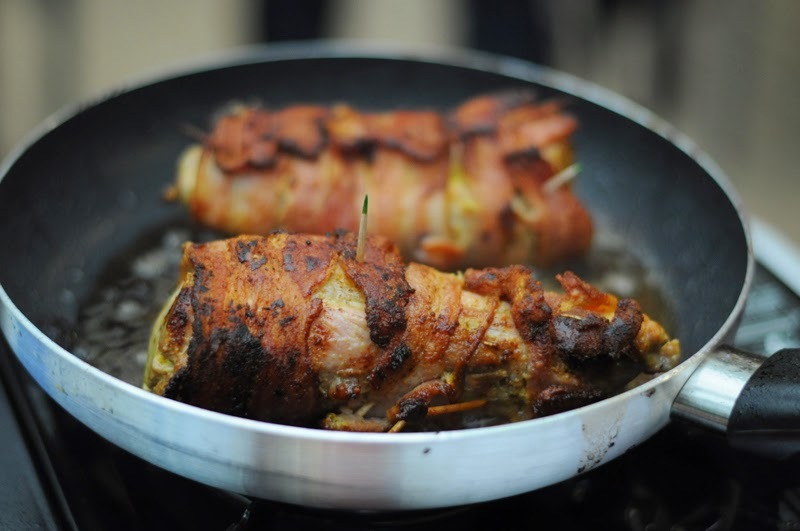 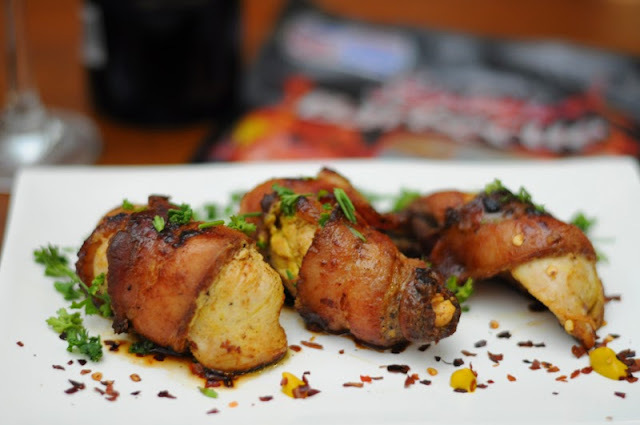 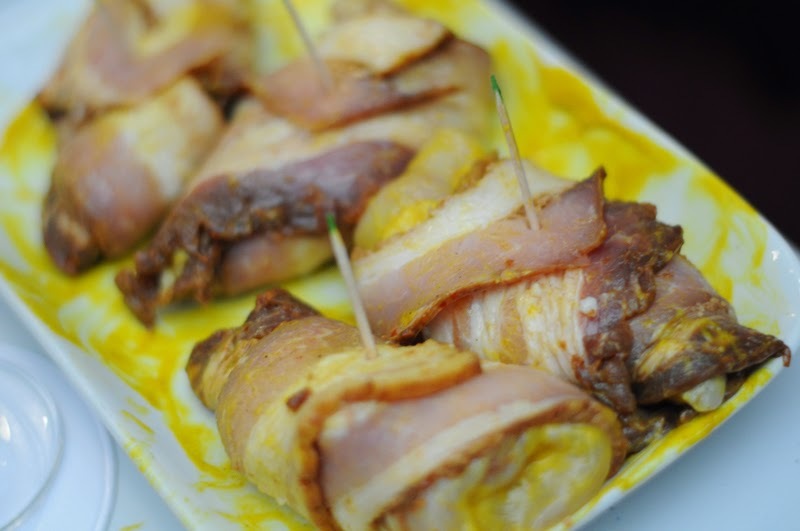 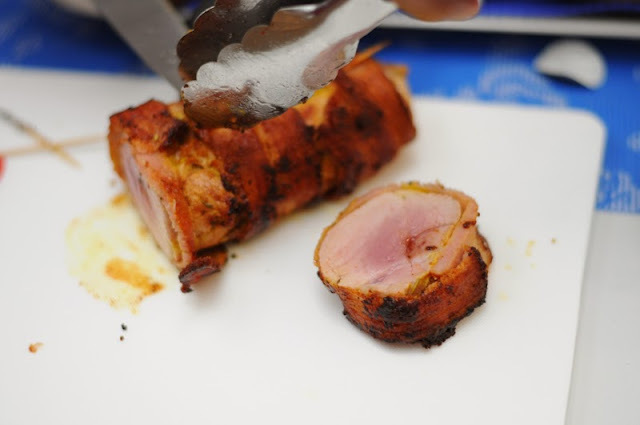 using PUREFOODS® Thick Cut Bacon in Spicy Barbecue. 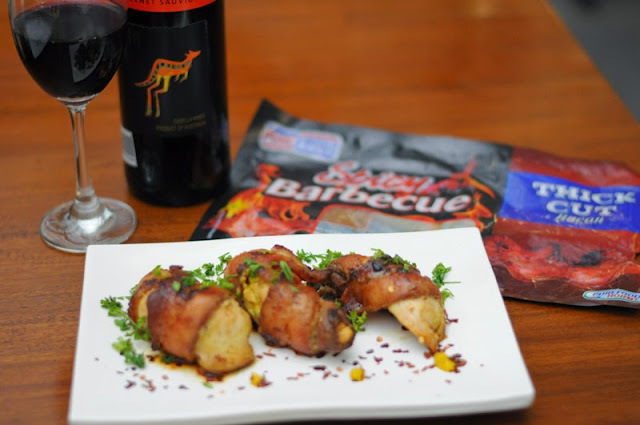 PUREFOODS® Spicy Barbecue Bacon is a hearty blend barbecue marinade with just the right hint of spiciness, perfect for thrill-seekers. 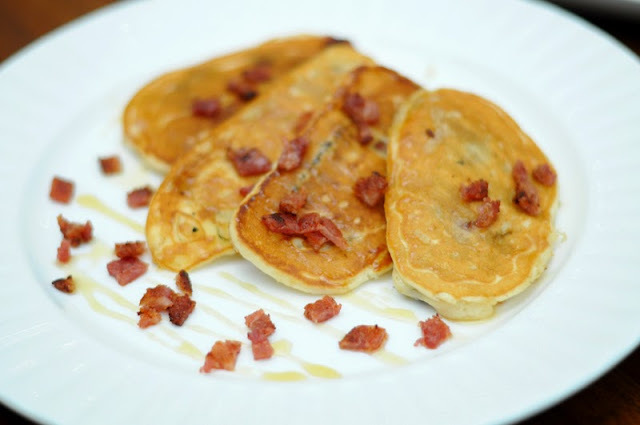 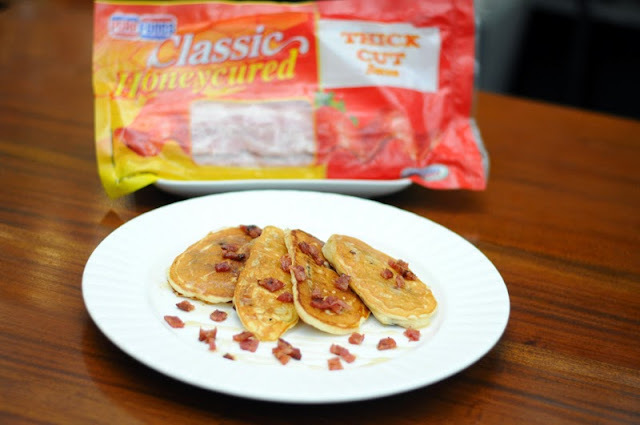 Team BaconNet's Bacon Pancakes using PUREFOODS®Thick Cut Bacon in Classic Honeycured. 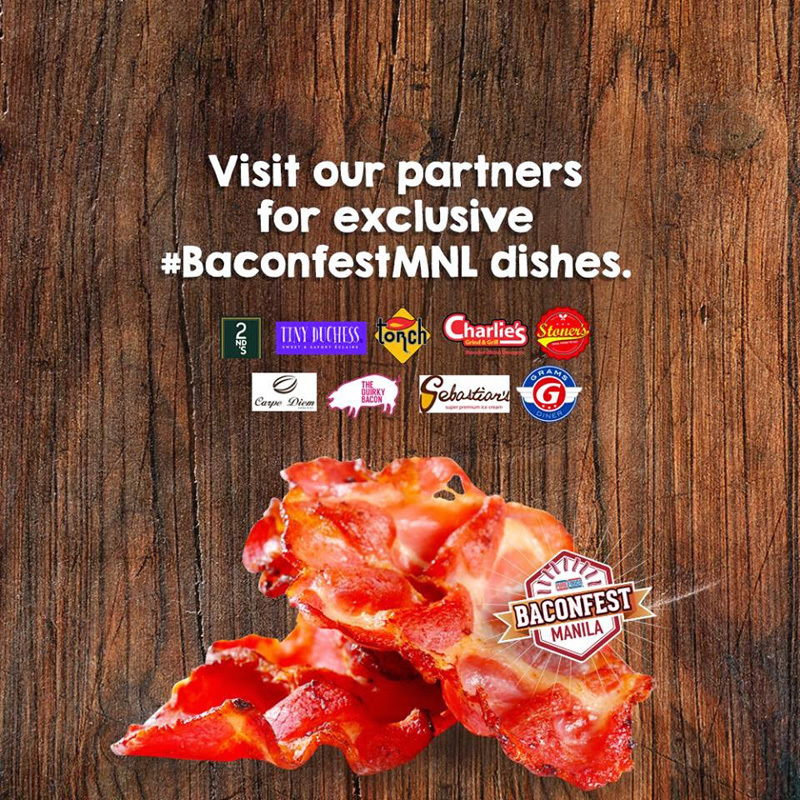 PUREFOODS® Honeycured Bacon has the perfect combination of sweet and salty flavors loved by all. 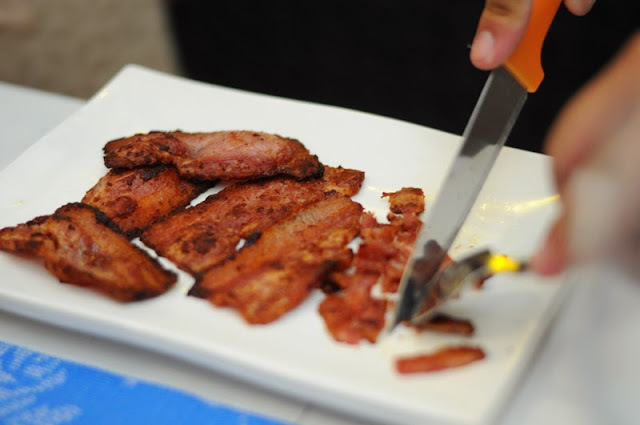 PUREFOODS® Maple Flavored Bacon is known for its sweet, crispy and rich maple aroma. 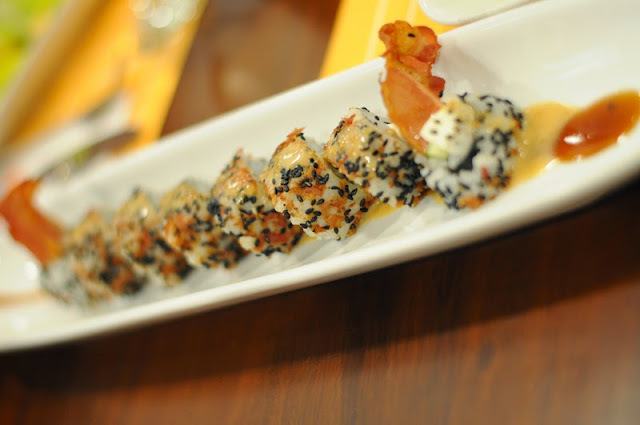 After the challenge, we were treated to a delicious and sumptuous 6-course special bacon meal at Torch Restaurant. 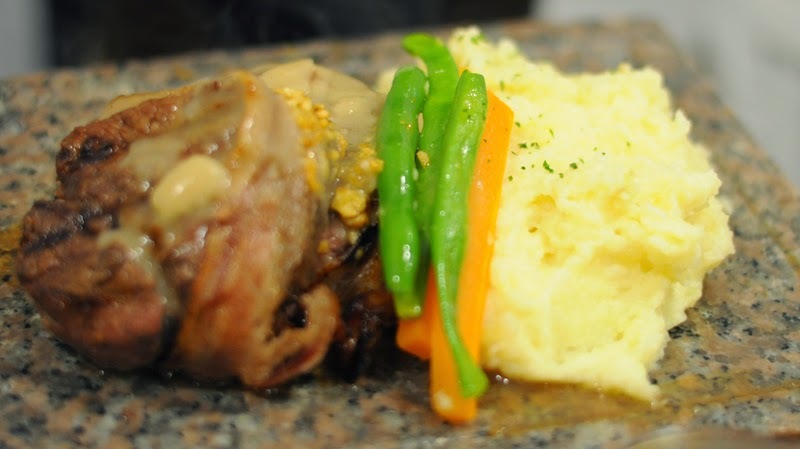 US Angus Bacon Wrapped Salpicao with veggies and mashed potato and served on a stone grill to retain its consistency. 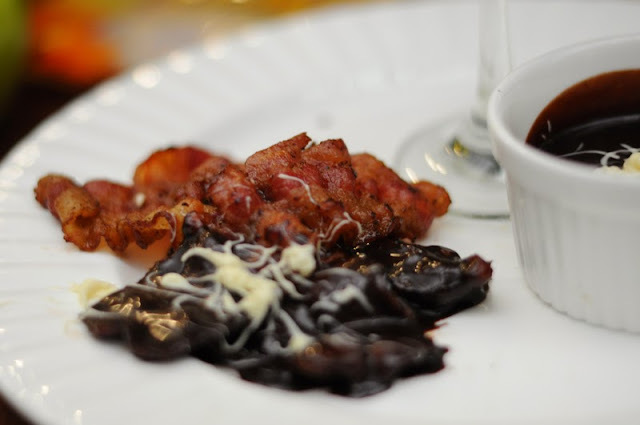 I had a very happy full tummy and was filled with all the excitement of bacon dishes they served to us that I already forgot to take a photo of the dessert but it was unforgettable yummy taste of Caramelized Bacon on top. PUREFOODS® THICK CUT BACON variants are available in 500g packs, while PUREFOODS® Maple Bacon comes in three packaging: 200g, 400g and 1kg packs.